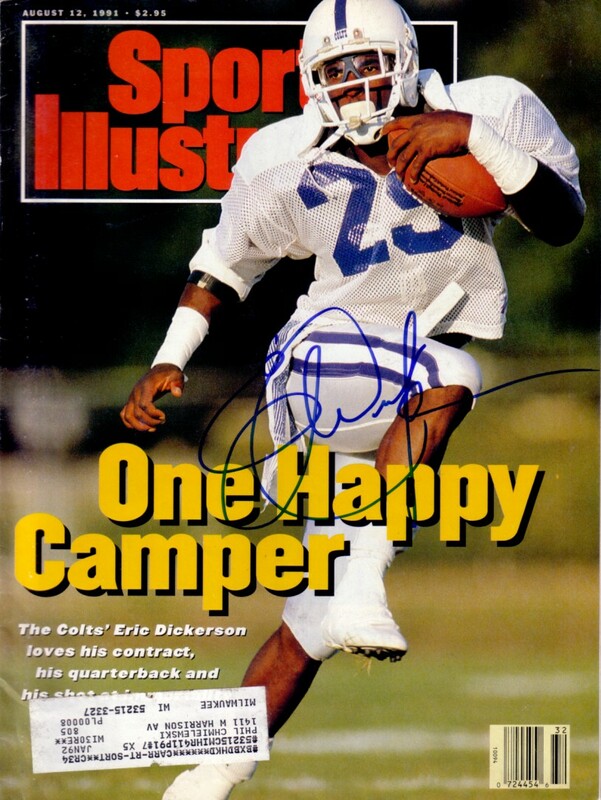 Complete 1991 Sports Illustrated magazine autographed in blue marker by Indianapolis Colts Hall of Fame running back Eric Dickerson. Has subscription label and very minor wear. With certificate of authenticity from AutographsForSale.com. ONLY ONE AVAILABLE FOR SALE.